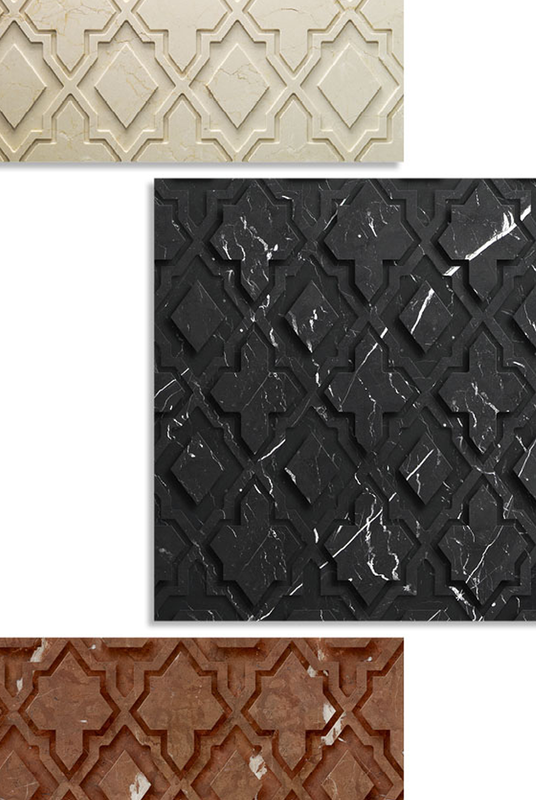 Alhambra is an intricately carved marble tile, inspired by a coat of arms – the perfect design choice to add a subtle elegance and depth to any space. 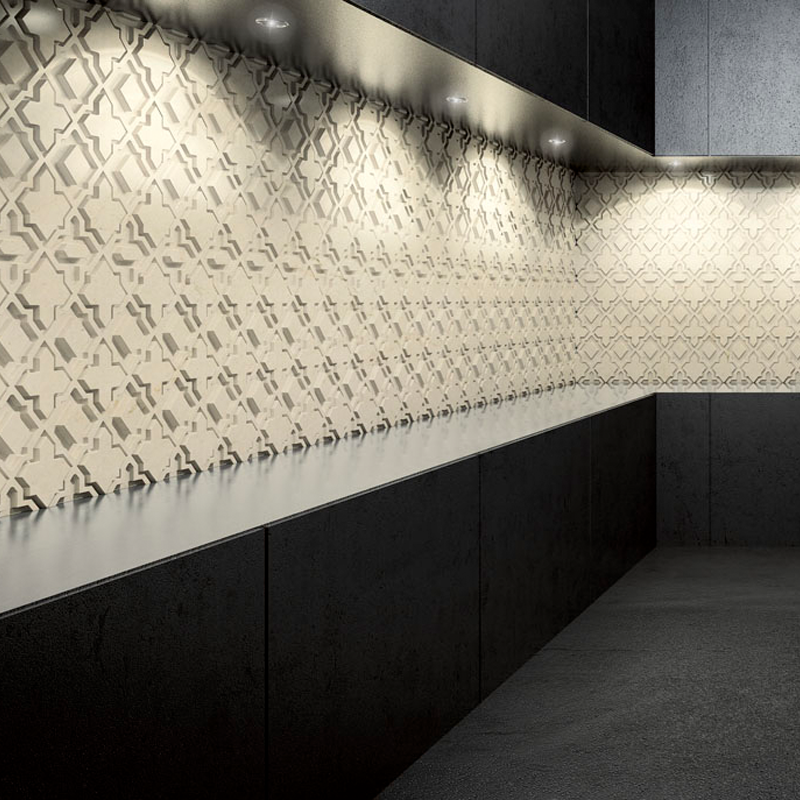 This design is produced with the bas relief method in a brushed finish and is available in a variety of marbles. Suitable for both home and contract.